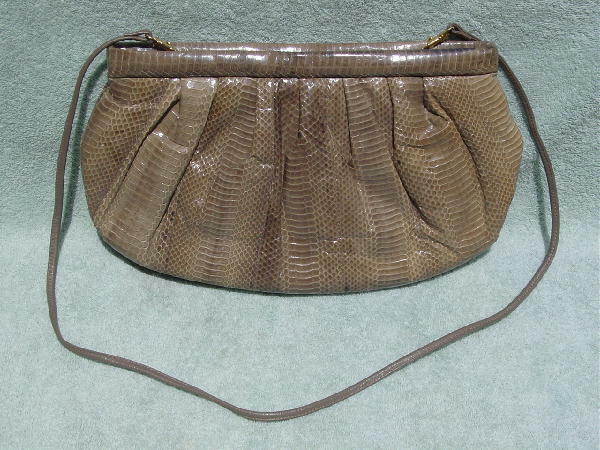 This vintage genuine snakeskin purse is in a light taupe color and has a genuine leather shoulder strap which is detachable. It has a thick black fabric lining and an interior zippered pocket. There is a top side to side zipper opening. 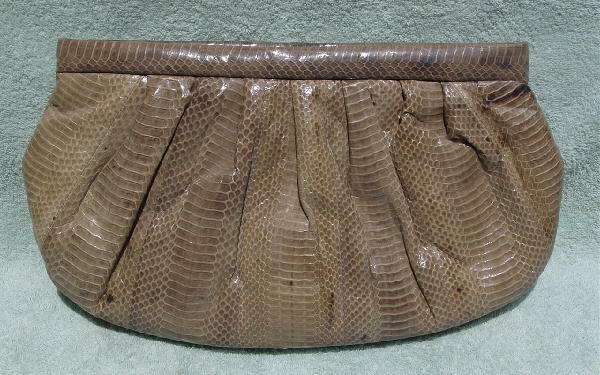 It has a vertical alternating pattern of smaller scales and very nice large scales. It is nice and lightweight. It was used once, for a magazine photo shoot.